We’ll develop a road map to your future practice. Unlike some companies, HJT promises each client a master plan (with manageable deadlines). Don’t be left in the dark about your project – your baby. Stay in the loop at all times by consulting HJT. 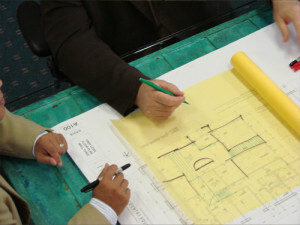 We will come up with a concrete and secure road map to your future practice. We promise to follow this road map to the best of our ability to make sure that you’re receiving the building of your dream in the time length that we’ve decided upon. While other companies may take advantage of you, delaying your project for weeks, or possibly months, at a time for a little extra cash, HJT ensures that this will never be an issue. While those other companies may be making a few extra dollars, they’re ultimately losing a reference, a referral, and the customer satisfaction. HJT cares more about our client’s happiness than the price tag on the project. As stated before, we work with the customer in mind, not our wallets. HJT is your number one choice in dental design consultants. Don’t allow other companies to bully you into design layouts that simply don’t meet your company’s needs. Trust HJT to design with you – the client – in mind. Working together, meeting your needs, and delivering them on time are key elements in any successful design; let us achieve this for you, your future, and your business. Let us turn your dreams into reality.